Registration opens on Wednesday, June 18 at 7:00 am. ** Note: Your child MUST be 4 years old as of December 31 to participate in a Foothills Bunny program. **Note: Coaches may move Bunny 1 children after the first session if they are better placed in a Bunny 2 group. Bunnies will start the second week of January 2020 and run for 9 or 10 sessions through February/ early March. Registration for Bunnies is closed. Weekly one hour sessions for 10 weeks. **Note: Foothills Nordic reserves the right to cancel any group session with insufficient registrants. Normal minimum class size is eight Bunnies. Participants will be given an opportunity to register for another time or receive a FULL refund. Bunny sessions are focused on “ski-play” as children develop FUNdamental motor skills, and learn FUNdamental movement on cross country skis, through participation in FUN activities and games. Bunny classes are limited to 14 per session, and will normally be run as two groups based on skill and maturity. Children will be assessed and groups adjusted if needed during their first session. Parents must be available on-snow to support leaders and are encouraged to participate. Information to be provided at parent information night. 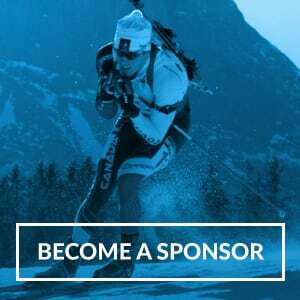 Participants are expected to have appropriate ski equipment and winter clothing. There will be a Parent Information session before the start of classes to review equipment, and clothing. Please see the equipment and clothing information for details. We welcome keen parents with strong basic ski skills to become leaders – please note on your registration or contact the Jackrabbit Coach Coordinator. ALL Jackrabbit parents are required to volunteer with Foothills Nordic, either through the many support roles within the Jackrabbit programs or in the many club activities throughout the year – see Club Volunteer Opportunities. We encourage families of all economic levels to participate in this awesome winter sport. If you have constraints for program or equipment costs, Foothills Nordic encourages families to seek support through KIDSPORT, a local program to help lower-income families with sport and activity program costs. If you have any questions please e-mail Foothills Nordic.